After months away from the printing press I have spent the last two days indulging in examining and printing a beautiful array of seaweed samples that I collected on the west coast of Ross-shire and Sutherland whist I was undertaking research into beach litter for my Littoral art project. In the six weeks of study we began to glimpse the extraordinary range of seaweeds around our shorelines and started to understand the categorisations of the algae washed up on beaches we know. 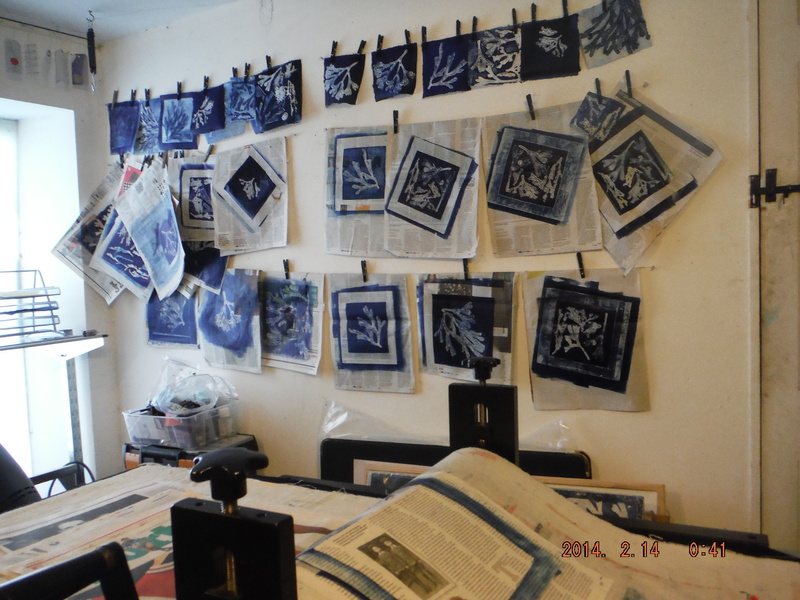 As with botanical prints pressing samples carefully is extremely important, even more so with the fine seaweeds that don’t have a strong internal structure. 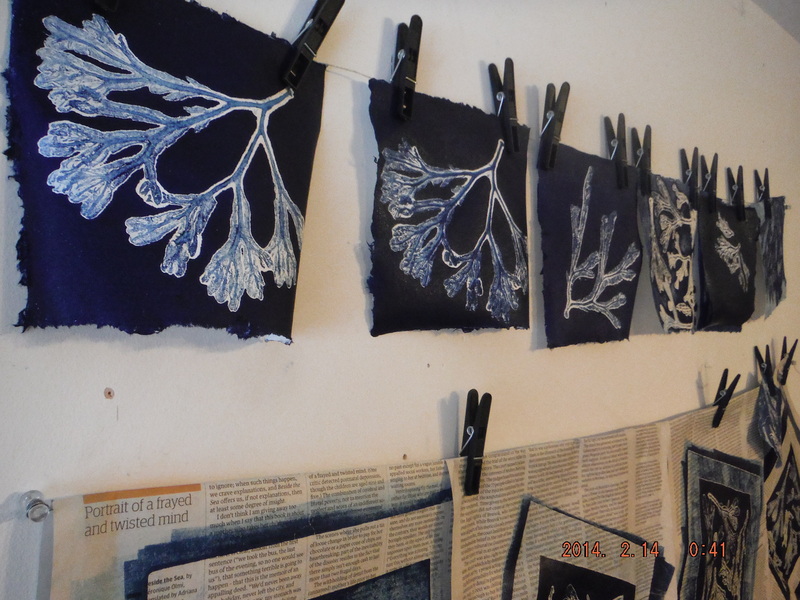 I began experimenting ways of pressing and preserving seaweeds for printing. 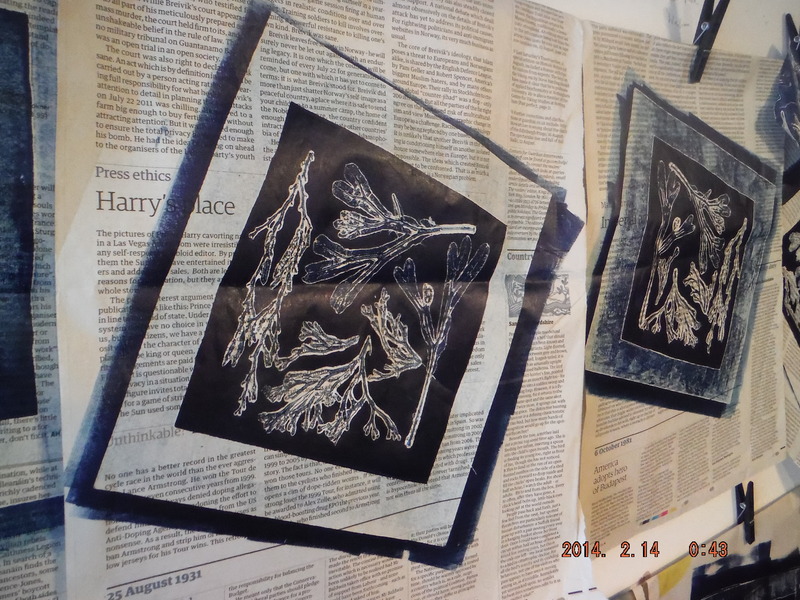 The seaweeds in these prints are all from the Loch Broom area. The wracks seen here print well being strong enough to take a firm pressure through the rollers, while the finer more delicate seaweeds need a damper paper and less pressure to achieve a good print. These prints have been made as rewards for crowd funding sponsors of my littoral art project and as such I decided to print them on sustainable paper using Khadi paper (recycled fabric fibre) and newspaper in keeping with the underpinning project message that we need to use less and to recycle more to help maintain a resilient environment. Tomorrow they will be being packaged up and posted to my sponsors. I hope you like them! Seaweed prints made for sale will be posted soon. 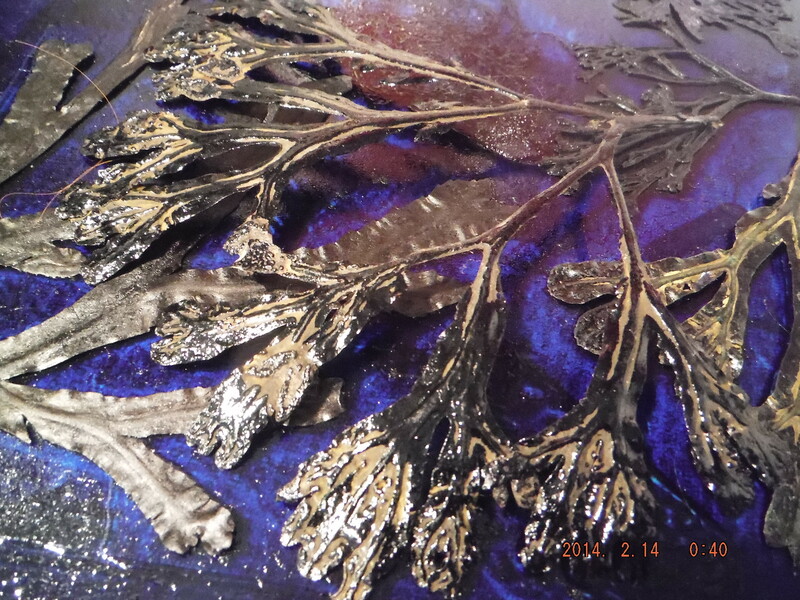 This entry was posted in Uncategorized and tagged askew, botanical, channel wrack, julia barton, khadi paper, littoral art project, prints, recycled paper, roller press, Scotland, seaweed, sponsume by jcb990. Bookmark the permalink.